Social media has changed how businesses communicate with their customers. It has allowed businesses to become more visible. Once upon a time, small businesses would struggle just to obtain clients who were loyalists to big chain retailers. Social media has leveraged the small business owner, allowing them to compete against larger corporations – and having a very real possibility of winning the spotlight. Social media platforms have positioned companies to overpass competition in an affordable way, as social media platforms can be self-managed, or can be slated to a third-party to help leverage your online influence. Social media allows you to learn and segment your audience. As a small business owner, it is important that you get to know your customers on an intimate level. Depending on the social media platform of your preference, you’ll be able to tap into your customers “likes”, favorite web links, even specific time windows that they are most active. Segmenting your audience will also allow you to put relatable products in front of your customers, improving conversion rates. Helps build and foster trust. The online buyer is savvy and self-aware. They know about encryption, and how to identify incredulous websites. This has also created customers that are particularly feeble when it comes to the sales funnel. Social media platforms allow the chance to anthropomorphize your business, giving it a “voice” or “face” that is relatable. Observing that you are active on social media, with clients that are talking about your products, allows prospective customers to comfortably spend money in your business. Social media enables you to tap into customer feedback – live. By searching up the name of your company or website, or even checking hashtags that are associated to your industry, you will be able to tap into the opinions directly related to your business or your particular niche. Tapping into live customer feedback allows you to create marketing plans that are precise. Observing what customers are saying will also enable you to create future content that can expand and educate on a particular part of your product that your clients may have questions about. Social media allows the chance for your content to be shared quickly. Customers that are social media are opinionated. This is how content become viral. All viral content doesn’t have to be outrageous; they can sometimes be a piece of information that is highly relatable. Social media allows customers to share riveting content with a simple click. To position your online properties or product for “virality”, it is important that your social media platforms mesh with your business objectives. Social media allows you to build traffic to your websites. Your customers that share your content will be sharing it with followers that have similar tastes and buying patterns. As a small business owner, this converts to fresh leads. Turn your everyday consumer to brand loyalists. Brand loyalists are the epitome of the ideal customer – they are quick to praise your service, are genuine fans of your product, and will spread the word of your goods. Combining the powers of social media, effective marketing, and powerful customer relation management, you can easily convert a casual online consumer to one that will be hyperactive on social media. Facebook for Brand Awareness. 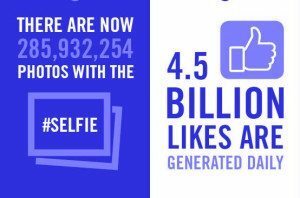 Tap into Facebook’s 1 billion active members by creating an online persona. Contests, the sharing of the main types of media formats, and audience segmenting make Facebook a platform for those who want to give social value to their online presence. Twitter To Tap into the Conversation. Twitter allows you to monitor what your target market is saying about you and your products, as well as opinions related to your industry. This uncovers opportunities for article marketing. Pinterest for Visual markers. Pinterest works particularly well for industries that thrive on visual cues like beauty bloggers, real estate agents, and marketing of tangible products. If you need someone to manage your Facebook or Instagram page give us call!